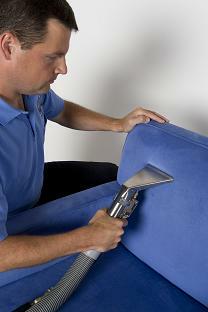 We offer 4 methods of upholstery cleaning depending on your fabric. One method will NOT do for all upholstery cleaning. You must get a certified upholstery cleaner to clean any of your furniture or you run the risk of damage to your piece. This is a very specialized area of cleaning. Don't trust just anyone. Ask if they are certified in this area! Proceed with appropriate cleaning method. Trained technicians can clean any fabric. We preserve your fabric for years to come. If the technician can't clean it, its time to re-upholster. *Unfortunately we do not clean any leather upholstery.